Today I'm going to be talking about one of my favourite topics, shoes, in collaboration with the Simply Be party shoes campaign. 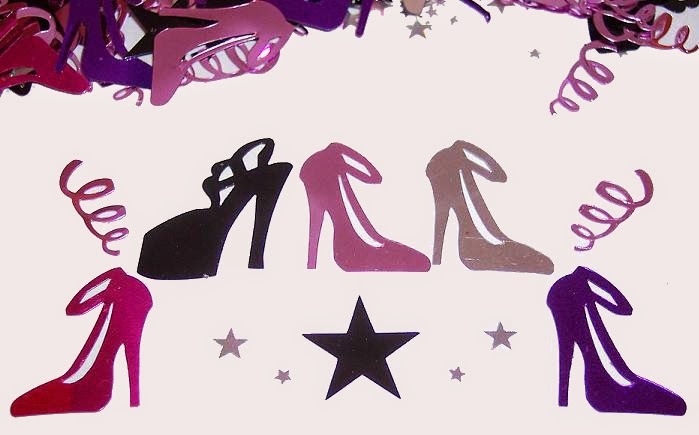 Simply Be have kindly gone and created a Party Shoes Guide to help us all pick some great party shoes and keep us as pain free and comfortable as possible in the process, so pop on over to the site to see the full guide which has some really helpful advice. First of all my inability to wear the correct size. When I was that age I just wasn't into internet shopping and would get all my clothes and shoes from the shops near me that would only ever stock up to a size 8, I was an 8 and a half so really needed to be wearing a 9 to be comfortable, especially as your feet can swell in heels during the night so an extra half size can really matter. The width fitting was also never right as I needed an "E"/ wide fitting but was wearing just the standard quite narrow fitting which I can hold responsible for a lot of rubbing and discomfort at the sides. Secondly, I can admit now that a lot of the styles I used to pick out were completely impractical. A couple of years ago my doctor confirmed that I have a medical condition that affects my balance and is responsible for feeling quite dizzy and uneasy on my feet, so realistically the skyscraper heels that I used to wear just weren't practical, hence me falling over or twisting my ankle on a regular basis. Nowadays I'm way more savvy when shoe shopping. Below I've gone for these beauties with a mid height heel with a nice chunky platform, platforms are amazing as they give you the height but without the exaggerated arch in your foot. These are in a size 9 and wide fit, Simply Be offer both an E/wide and EEE/extra wide fitting which I think is excellent. I've popped on a pair of socks to help "wear in" the shoes and also I wont get any rubbing at the back of the heel, another good way to stop this is by using gel cushions which are great if you're wearing tight or going bare legged. So tell me, what do you guys think about high heels, do you love them or hate them? Also do you have any more tips to share that weren't in the Simply Be guide, if so pop them below in the comments.